Actually I have no idea what this new bronze diver from avant-garde, watchmaker Franck Dubarry is properly named. 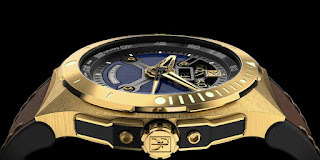 It is yet to have an official release, but what the brand says of their new diver is that it has an ‘’unalterable’’ bronze case so won’t get the usual patina – perhaps a plasma coating? The 43mm in diameter diver has 300 meters of water-resistance and is powered by one of the brand’s bonkers movements. 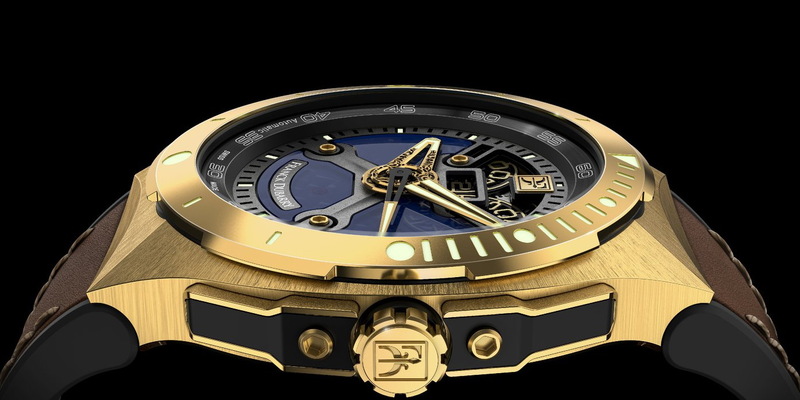 In addition to bronze the new Franck Dubarry diver will be made from forged carbon as well as Damascus steel.